I feel honored to know that Avin who blogs at https://theyellowdaal.wordpress.com has nominated me for “One Lovely Blog Award”. Even though I have started blogging about an year back, i am relatively new and feel humbled. 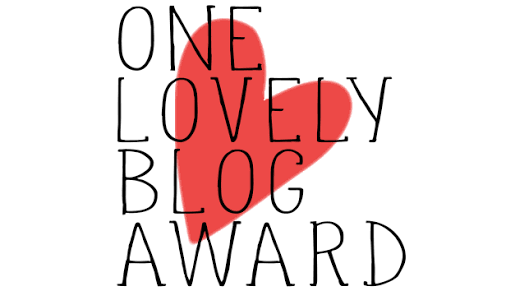 One Lovely Blog Award is basically given for reward and recognition of new bloggers. And truly since I have started this blog I have connected with so many good bloggers who have and have appreciated my efforts. Getting nominated is just another feather in the cap. 1. Started this blog to document my recipes and share with the world. 2. I am a Vegetarian and love Stuffed veggies. 3. I love to experiment with food in my kitchen and develop new recipes. 4. I don’t plan and whip up wonderful dishes in a jiffy. 5. I incorporate healthy ingredients in my cooking. 6. I love to bake cakes and Pizzas although i am not a Pizza lover.